Today I had my 35 week check-up! 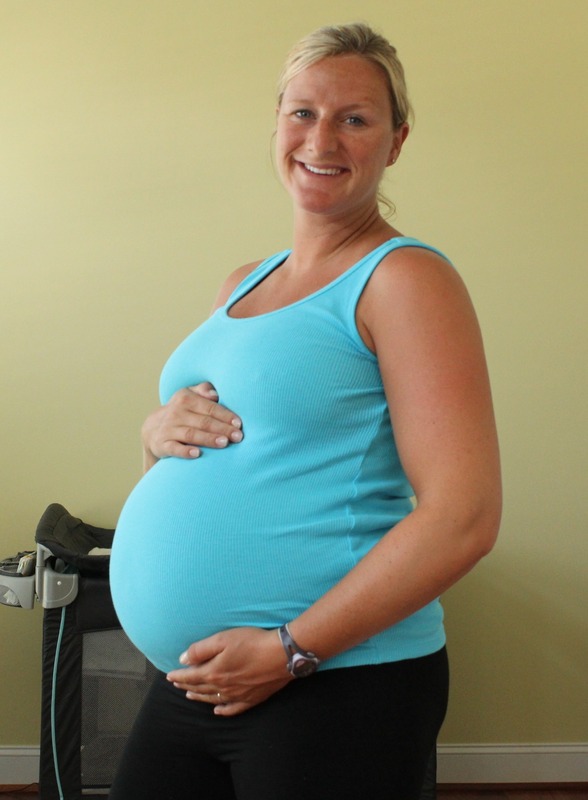 I’ve been feeling pretty good all things considered, just have the same old swelling of the feet, minor headaches here and there, ﻿a stretching feeling and some pressure on my lower abdomen, and periodic braxton hicks contractions…..all which are totally normal for 35 weeks pregnant. I went in and did they did the routine blood pressure, weight and fetal heart beat, and although my weight is still on track and Garrett’s heart rate was 150, my blood pressure was 126/83 which is considered high-normal. 2 weeks ago when I went my blood pressure was 103/70 which is great so I’m not too sure what is going on, but the Dr. has decided that she’d like me to start coming in weekly now, which is also normal given how many weeks I am. Next week they will check my weight and blood pressure again and if there is protein in my urine then they will diagnose me with preeclampsia, and I’ll most likely be told to take it easy and then if the high BP continues they will probably need to induce me earlier than my due date of June 29th. The good thing is, that next week I will be 36 weeks which my Dr.’s consider full term so if I do need to be induced, chances are that everything with me and the baby would be fine! Even though I am more than ready to meet our little man, I’m hoping that my blood pressure returns to normal in the next week so I can continue progressing naturally, and Garrett can then come when he is ready! 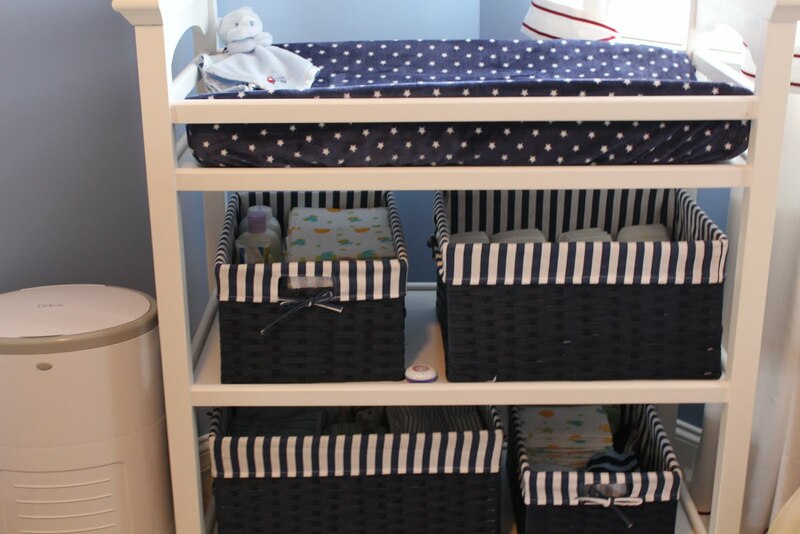 Changing table is stocked and ready to go! 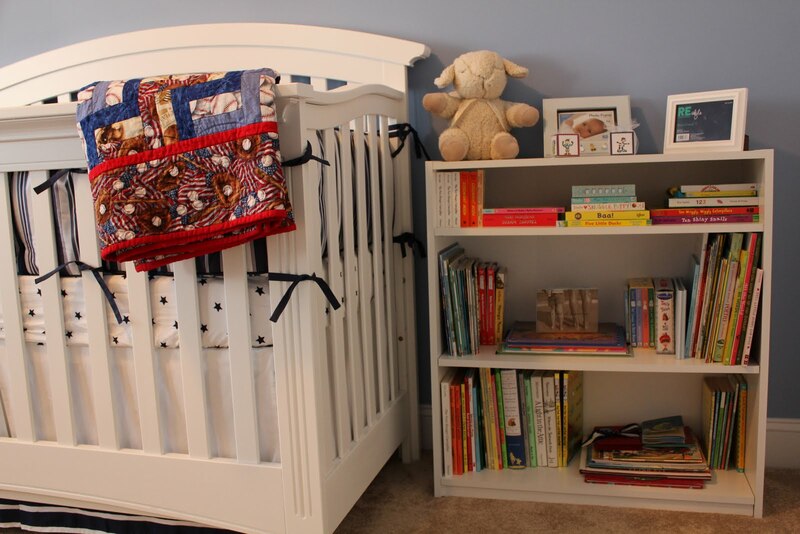 The beautiful hand made quilt that Aunt Manda ﻿got for Garrett and the bookshelf for all of his books! 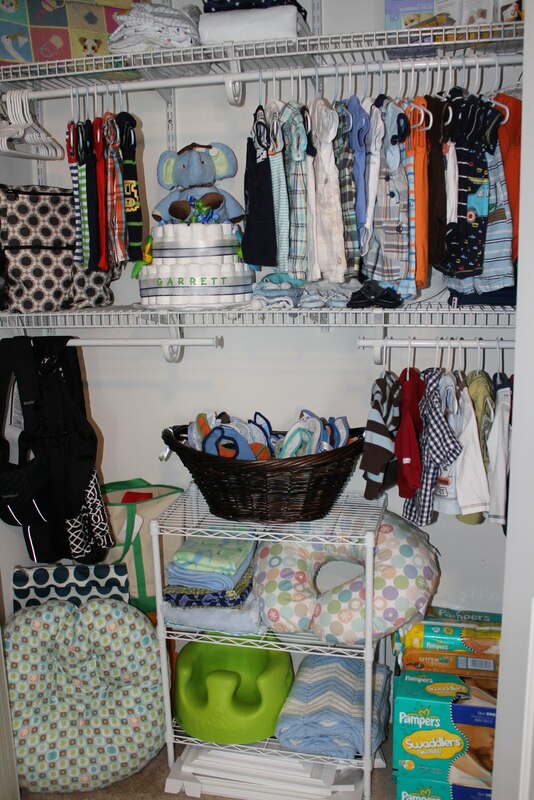 Again….most of his clothes are in the dresser! Symptoms? Swollen feet, Braxton Hicks Contractions, lower abdominal pressure/stretching, and I’m noticing that I now need to sit down and relax for a little bit after my daily walks. Cravings of the week? Blue Bell Cookies and Cream Ice Cream in a regular cone, watermelon, strawberries, and italian food. Movement? Oh yeah, he got the hiccups yesterday morning and that was kind of crazy, but he seems to be making more fluid movements because his space is cramped. Not so much kicking an punching, but actually moving if that makes sense. He’s also really enjoyed lodging his feet up under my ribs and that is not very comfortable. Milestones? Dr.’s consider me full term next week!!!! !